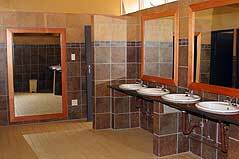 Aldam Estate is situated 225 km from Johannesburg on the N1 South and is a mere 140 km from Bloemfontein. 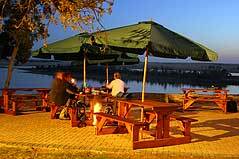 The resort is adjacent to the Allemanskraal Dam and Willem Pretorius Nature Reserve hosting 2 of the Big 5. At Aldam Estate you can experience the tranquil expanse of water, fresh air and a fish eagle's haunting cry, as it skims the water in search of its prey. Aldam Estate is one of the most popular venues when it comes to family resorts because of the wide variety of activities available, as well as the beautiful location! 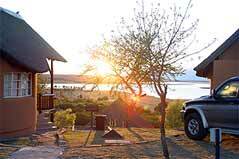 For the outdoor enthusiast numerous activities are available. History and Culture addicts can visit and contemplate monuments, close to Aldam Estate such as The Sand River Monument, the historical 'Le Goya Ruins at the Willem Pretorius Nature Reserve, the Voortrekker Monument in Winburg and many more. 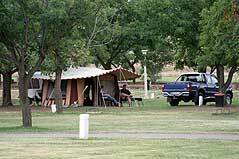 Caravan Park:For the enthusiastic camper, a shady caravan park, boasting 100 serviced stands, awaits you. The newly upgraded stands and facilities are of very high standards! 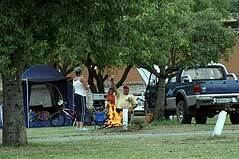 The Caravan Park currently boasts with a 3-star grading from the Tourism Grading Council of South Africa. 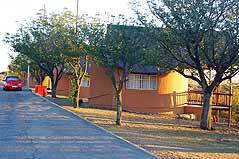 Chalets:Aldam Estate offers a variety of accommodation options ranging from 2 sleeper and 4/6 sleeper self-catering thatched roof rondavels all with a breathtaking view of the Allemanskraal Dam. The units are comfortable and are furnished with only the best quality furniture! 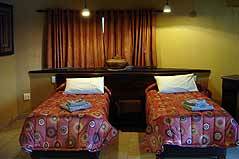 The upgraded units received a 4-star grading from the Tourism Grading Council of South Africa. Group Quarter:School groups, sporting teams and large family groups can be accommodated in a self-contained, self-catering group quarter. 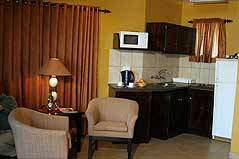 The complex consists out of 10 separate rooms with 5 single beds in each room a bathroom with shower, basin and toilet. A kitchen and recreation area that can accommodate up to 50 people forms part of the complex. Although it is fully self catering, our professional banqueting team can provide catering if necessary! What makes the AldamEstate unique are the accommodation facilities availablefor leisure guests, ranging from luxury and standard two ,four and six sleepers unit.